Portugal had been on my bucket list for a long time but, to be honest, Porto was not my number one choice for a visit. I had initially wanted to visit Lisbon but when the opportunity came to visit Porto I took it. 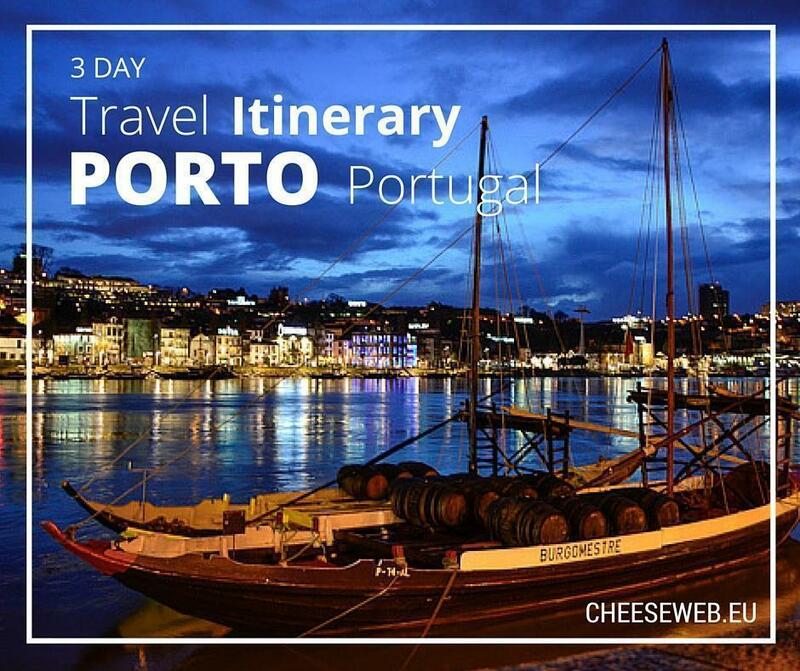 Travelling to Porto in winter has many perks; one of them is cheap travel. A roundtrip ticket with EasyJet cost me only 47€. Another perk of off-season travel is an abundance of cheap accommodations. 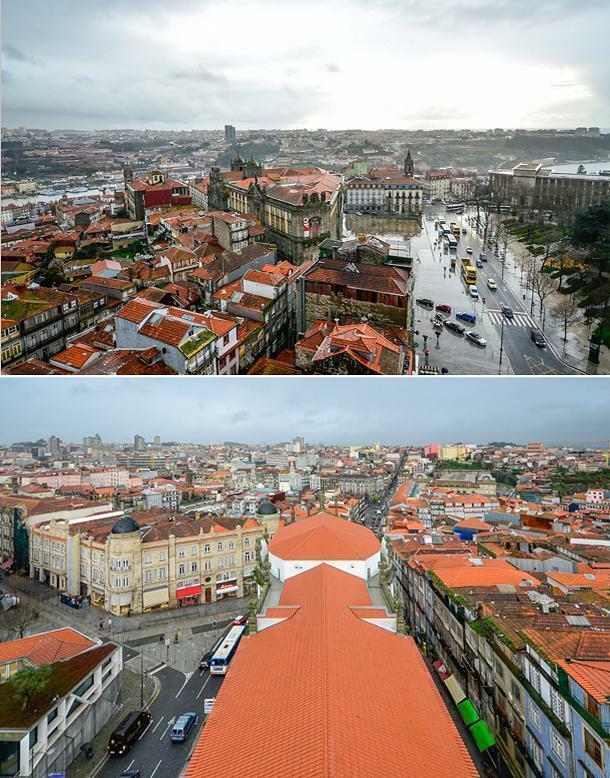 I am a die-hard fan of Airbnb and our apartment in Porto (Use our link and earn credit on your first stay) was affordable and the perfect stay for a weekend. 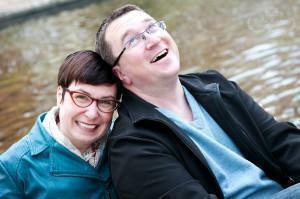 The owner was friendly and easy to communicate with, the apartment was clean, and it fit four people comfortably. 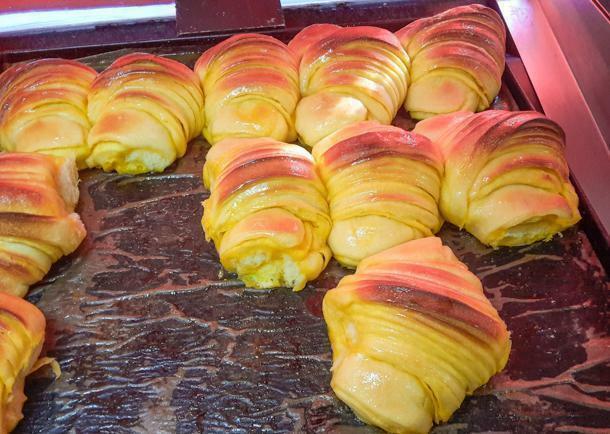 But above all, the apartment was fantastic, because downstairs was a bakery that sells the world’s best croissants. (Thank you for the recommendation, Lili!!). My trip to Porto was an all ladies trip (4 of us) and we found Porto very safe, even walking around in the evening after dark. 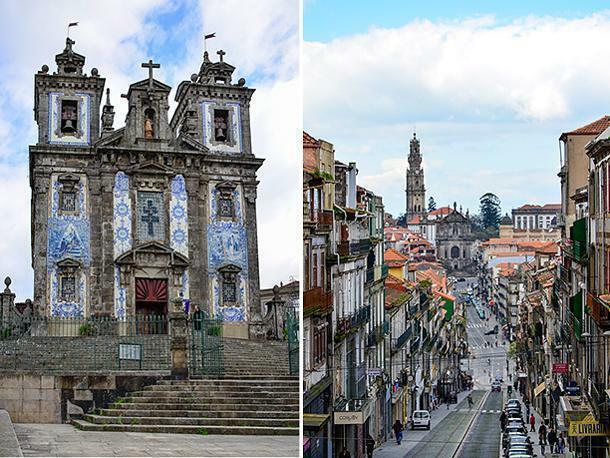 Porto is a city of contrasts – gorgeous tiled buildings, new and ancient, sit beside rundown structures ready to collapse. In an odd way, I found this charming. As a city built beside the ocean, the humidity puts its unforgiving print all over the city. It reminded me of Venice, with the same contrasting charming atmosphere. I loved the narrow cobblestone streets lined with little stores, restaurants, and neighbourhood cafés. The people are friendly and welcoming making you feel less of a stranger. If you travel to Porto for the weekend, buy the 3-day Andante Card for 15€ as soon as you arrive at the airport. With it, you have unlimited access to public transportation for 72h from the time of the first validation. Remember to validate it before every trip. There will be controllers checking it every time you get on the metro. Alternatively, you can purchase a ticket for the Hop-On-Hop-Off Sightseeing Bus. You can buy a 1 or 2-day ticket online in advance of your trip for even more convenience. If you don’t want to deal with taking your luggage on public transportation, you can save money on taxi fare buy arranging a 1-way airport transfer in advance. 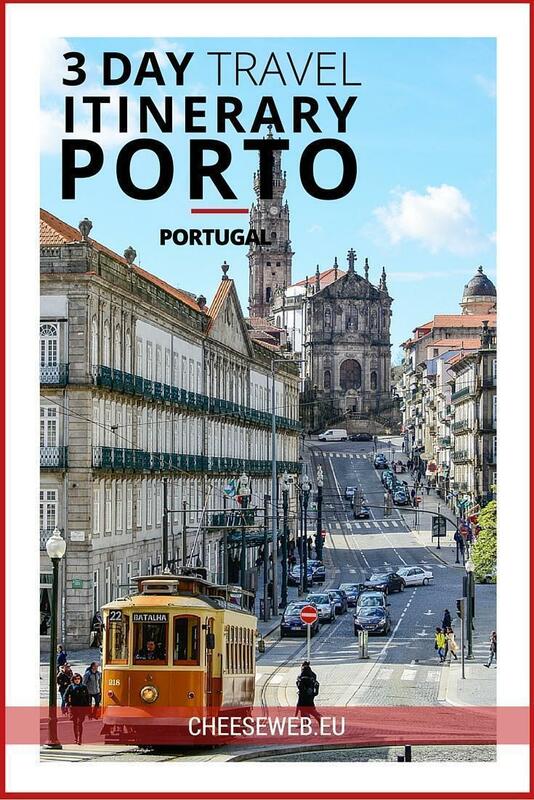 You can pre-book service to or from your accommodation in Porto for under 15$. There are so many places to visit in Porto but I want to share my personal itinerary with you. 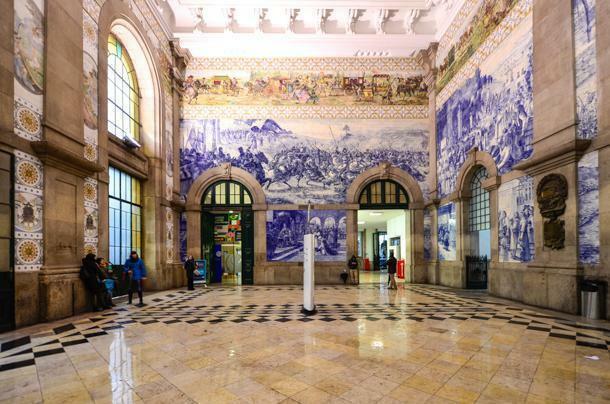 If you plan to visit a number of attractions and museums in Porto, you can save money and skip the lines by buying the Porto Card. Cards are valid for 1-4 days and include transportation around the city. It’s a great value if you plan to do a lot of sightseeing. Our first day in Porto was horribly rainy but we decided not to let it stop us from visiting a few historical sites. Clérigos Church was the perfect beginning to my sightseeing list. Construction began on this Baroque church in 1732 while the tower construction began in 1754. This incredible structure quickly became the symbol of the city. A visit only costs 3€ and it grants you access to the church and the 75.6m tower. Trust me; at the end of the 240 steps awaits gorgeous views of the city. You can even skip the line and buy your ticket online in advance. 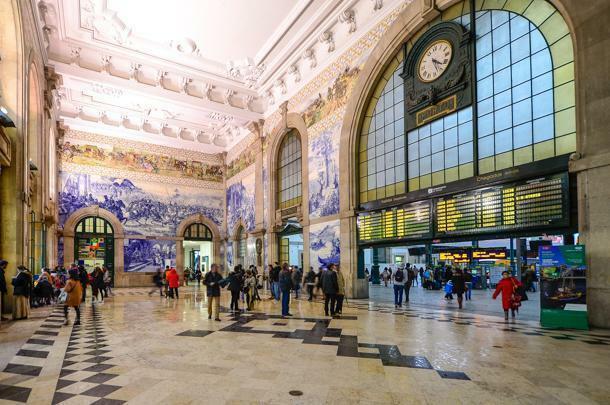 São Bento Railway Station was inaugurated in 1916 and it is not your typical train station. 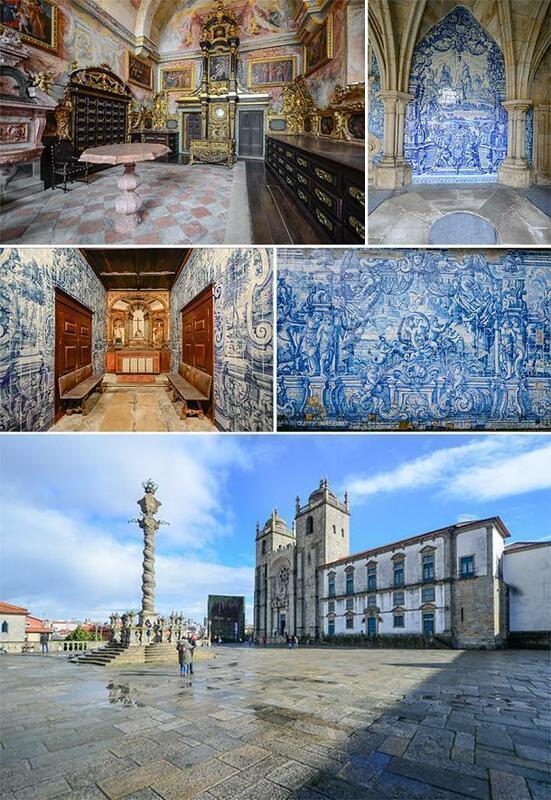 Its massive walls are decorated with approximately 20000 azulejo tiles, depicting the history of Portugal. I loved how a space so beautiful was used for something as average as a train station. Livraria Lello & Irmão is a bookstore in central Porto, just up the road from the Clérigos Church. 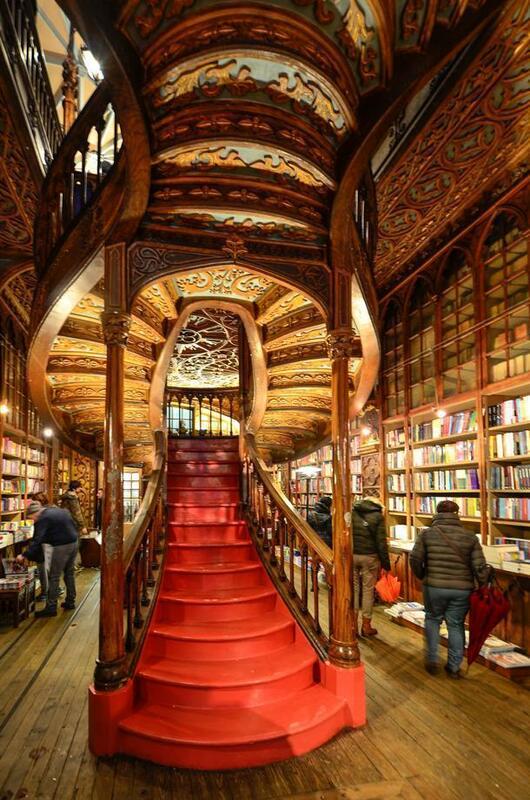 This Art Nouveau bookstore is beautiful and worth a visit. JK Rowling, the author of the Harry Potter series, also frequented the bookstore when she taught English in Porto and the shop is reported to be an inspiration for her writing. It costs 3€ to get in, but you get your money back if you buy a book. 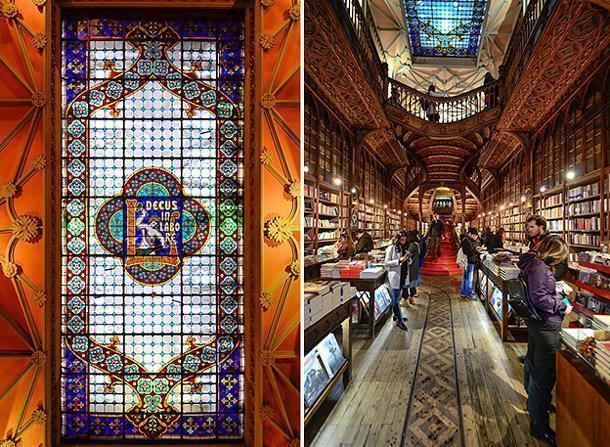 We can see why this bookstore inspired Harry Potter! 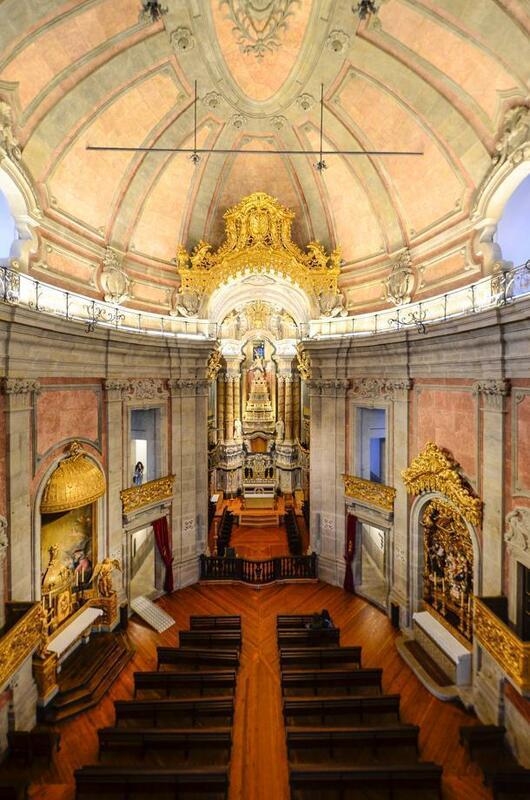 Iglesia de los Carmelitas is one of the most beautiful and important churches in Porto. Like the Lello & Irmão bookstore, Iglesia de los Carmelitas is a short walking distance from the Clérigos Church. It’s worth the visit to admire its striking architecture. The outside is beautifully decorated with azulejo tile. The inside, while not large, is elaborately decorated in the Rococo style. Entrance is free of charge. Porto Cathedral is located in the historical center of Porto. It is one of the city’s oldest monuments and one of the most important Romanesque monuments in Portugal. Its construction started around the year 1110. While the interior of the church is being refurbished and scaffolding makes it hard to enjoy its beauty, the gothic cloister offers a visual feast. Entrance costs 3€ and, if you go early, you will have the entire place to yourself. 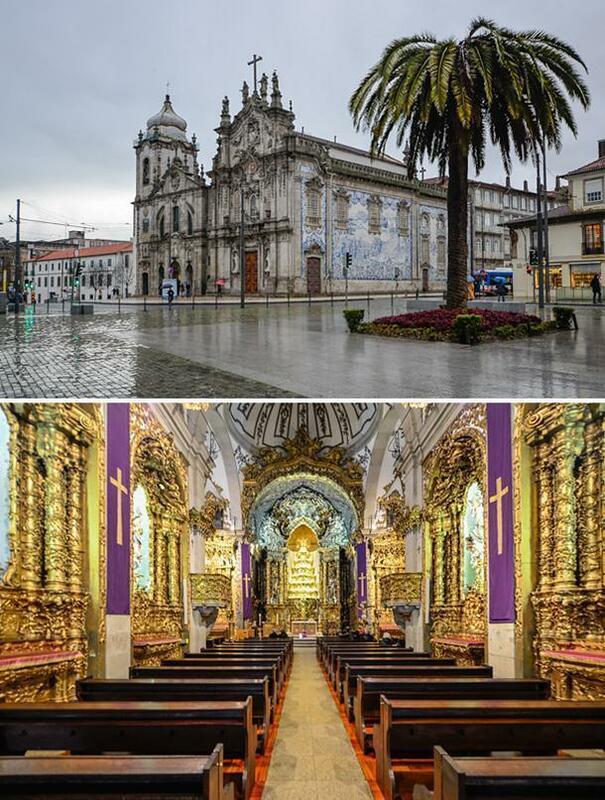 The Church of São Francisco is the most prominent Gothic monument in Porto and is located in the historic center of the city. It was declared a UNESCO World Heritage Site. 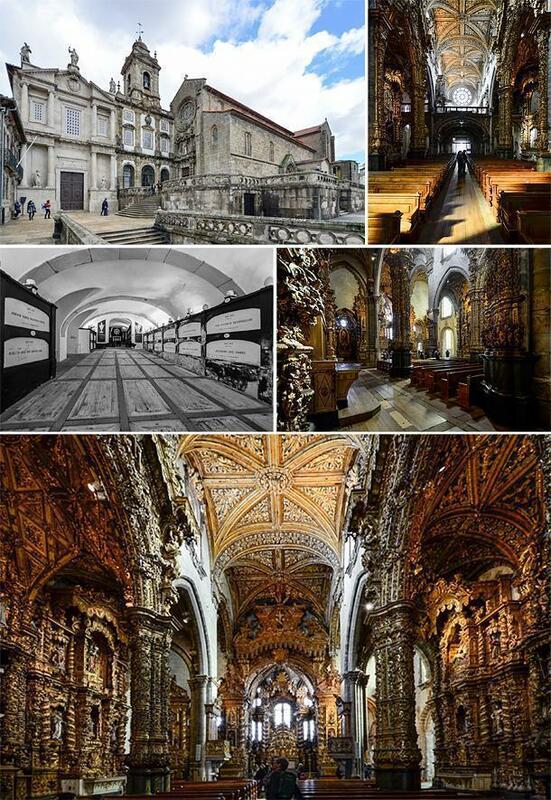 The building of this church began in 1383 and, today, it’s the best example of Gothic architecture in Porto. The interior displays the exact opposite of the simple exterior; the massive walls are decorated heavily with gold, in the Rococo style. In 1809, Napoleon’s troops invaded Portugal and captured Porto. The French Cavalry officers decided that the Church of São Francisco would be an ideal location to host their men and their horses. A local story tells of the monks and parishioners hurriedly painting whitewash over the gilded interior fittings when they heard about the invasion, to prevent them being destroyed and looted by the French. The entrance fee is 3.50€ and grants you access to the church as well as the catacombs. St Ildefonso Church is the final church we visited but only from the outside as inside they were holding mass. Completed in 1739, this church is built entirely of granite and the façade is decorated with approximately 11000 beautiful azulejo tiles depicting the life of Saint Ildefonso and images from the Gospels. 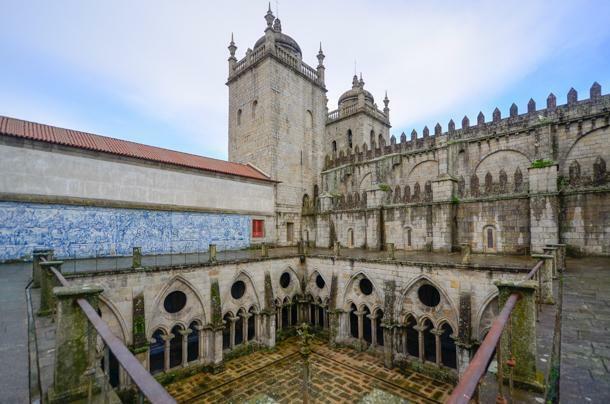 The church sits near Porto’s Batalha Square, a historic, mostly pedestrian, public space frequented by tourists for the breathtaking views of the city and the Clérigos Church and Tower. Avenida de los Aliados is a pedestrian area that was started on February 1st, 1916, and the city centre of Porto. 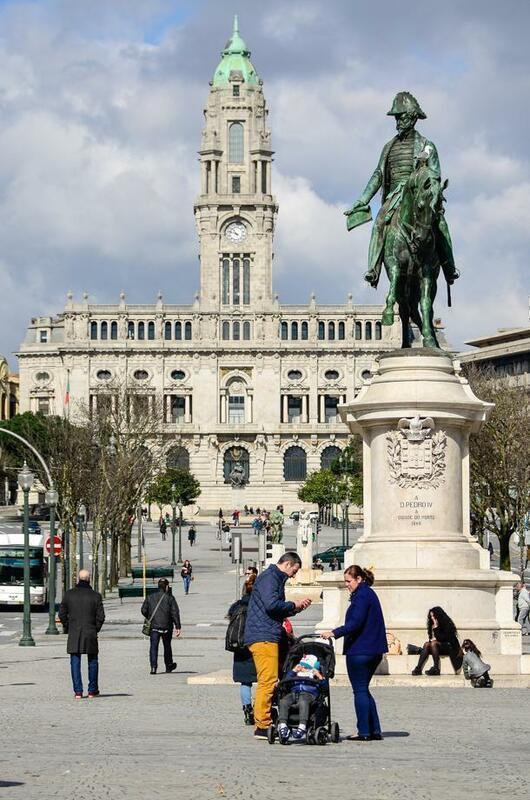 In the centre of the square, you will observe the 10m tall bronze statue of King Pedro IV, dating from 1862, while the buildings flanking the square, including the Townhall, are early twentieth-century architecture. On a sunny day, it’s the perfect place to be for a little R&R between tourist sites. Praça da Ribeira, Porto’s UNESCO designated heart. 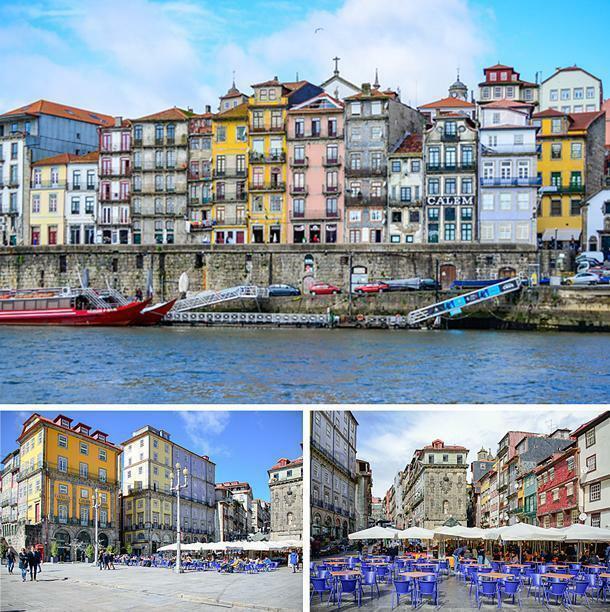 Praça da Ribeira is the city’s most lively area and part of the historic centre of Porto. It is also designated a UNESCO World Heritage Site. This is the place to be if you seek nice restaurants and cafés with a relaxing atmosphere. At the moment, it is the place preferred by tourists and I imagine summer is crowded but if you travel off-season it’s as relaxed as can be. 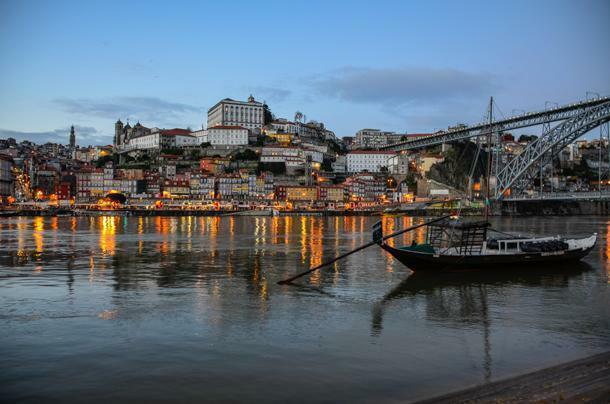 From the Ribeira square, you can take a 50-minute river cruise up and down the Duoro River. It only costs 15.00€ and it gives you the chance to get some information about the area and the magnificent bridges linking the riverbanks. The bridge opened on October 31st, 1886 and, at the time, it was the longest of its kind in the world. The upper deck is put to use for pedestrians and light rail while the bottom deck is open for pedestrians and general traffic. 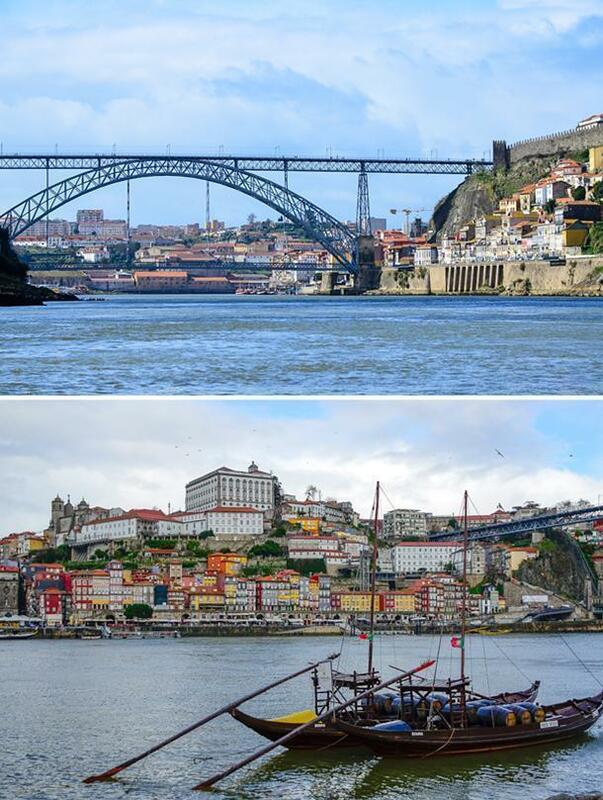 Walk this 385m long bridge for magnificent views of Porto. I admit Port wine is not my favourite drink but when in Porto it’s a must. If you decide to try it you have to do so at the oldest Port wine house, C.N. KOPKE, established in the year 1638. There are different ways to enjoy a tasting, from selecting just one or two glasses to trying the entire suite of house wines. I chose the latter and, for 28€, I tried five wines paired with lovely Portuguese chocolate. The atmosphere was relaxed; you stay as long as you need, and the staff is welcoming and knowledgeable. Beware, five glasses of wine will make you tipsy or drunk, depending how much tolerance you have to alcohol. I recommend you do this in the afternoon when you are done sightseeing. 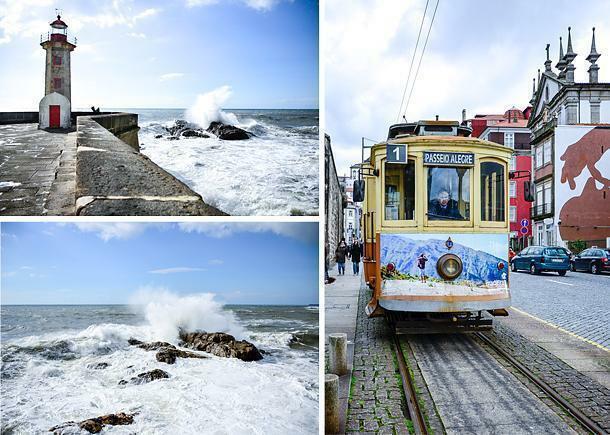 One of my favourite things to do in Porto was to go see the Atlantic Ocean in an old-fashioned tram. For just 2.50€, you get a ride from the Sao Francisco Church station all the way to the beach. The tram ride is clunky but fun. Once at the ocean, you can choose to walk the strand all the way to the Lady of Light lighthouse. The ocean is cold and restless in winter putting on a spectacular show of waves breaking on the lighthouse wall as well as the rock formations near it. The world felt like a much better place after some wild ocean therapy. 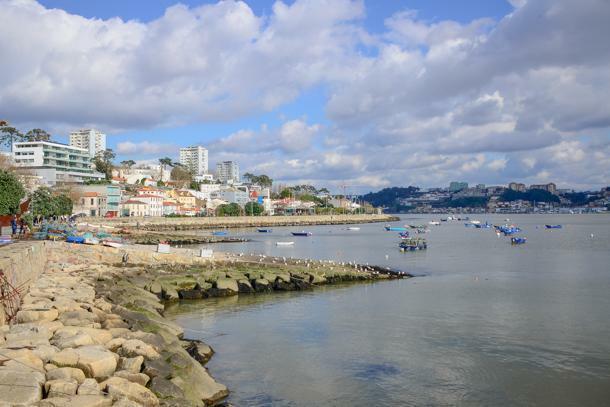 Porto is a city on the Atlantic Ocean so it would be a pity not to try as much fresh seafood as you can. Most restaurants offer fresh clams, octopus, codfish, mussels and many more delicious choices. One of the best meals I had in Porto was right by our Airbnb apartment, at a neighbourhood restaurant called Madureira’s. It’s a restaurant beloved by all, as evidenced by how full it was every evening. The delicious food choices and the very affordable prices will convince you to eat there more than once. 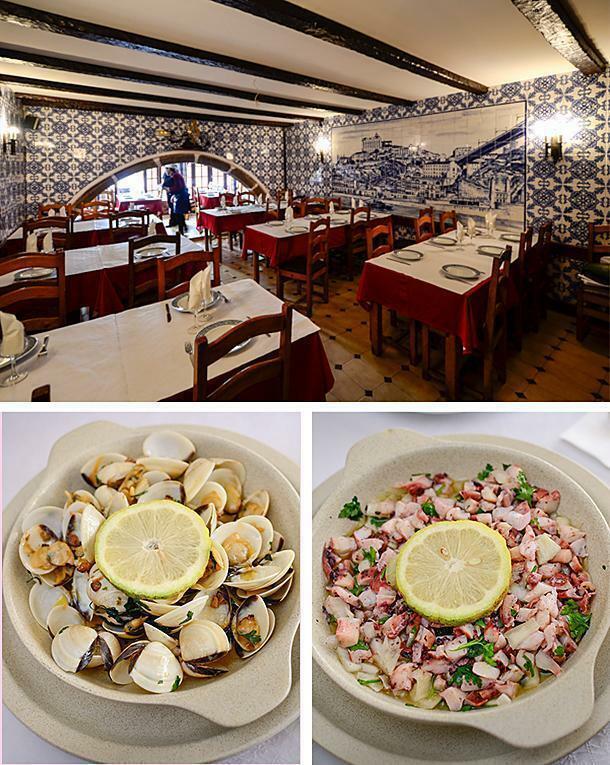 The restaurants that line Praça da Ribeira serve nice, fresh seafood as well but higher in price, as you can imagine. I especially enjoyed the clams and the octopus ceviche at Peza Arroz restaurant; a little restaurant decorated with gorgeous azulejo tiles with nice views of the river. One last restaurant I deeply appreciated was Escondidihno, a traditional Portuguese restaurant that served me the best cod I’ve ever eaten. Everything was perfect: the ambiance, the service, the food, and the prices. I would eat there again, and again, and again. 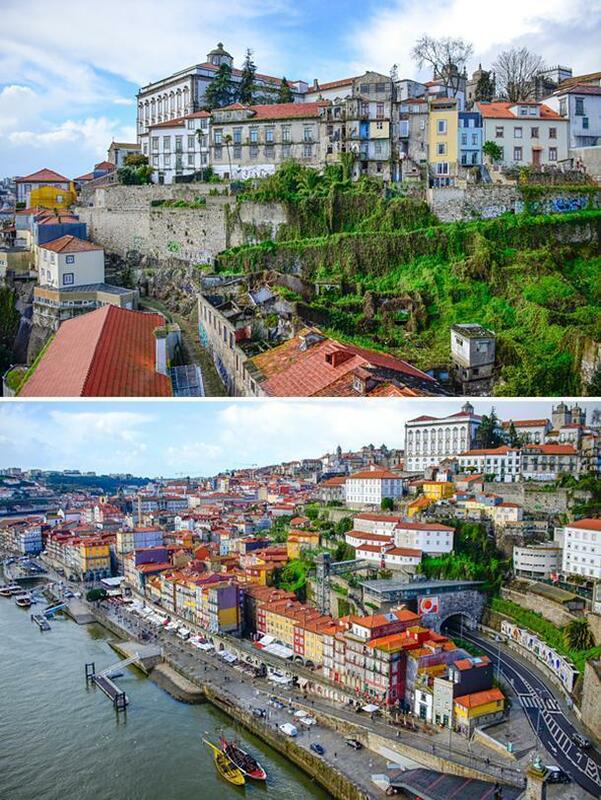 I still want to visit Lisbon but I am very pleased I decided to give Porto, Portugal a try. This city of contrasts left its mark on my heart through its people, food, and history wrapped in azulejo tile.